Why Host An Online Concert? Gigging is hard work. If you’re not constantly on the phone booking places and proving your worth, you can easily find yourself in stretches without shows. Let’s also take into account how expensive it can be just to get to a gig, and how time consuming it is to set up and break down. Hosting your own online concerts helps you avoid barren patches, and can save you time and money. Playing in one geographic area also limits the audience growth you can achieve. Sure, over the course of a four hour gig, you may be heard by several hundred people. But, most of them won’t be there for you. These types of shows can turn into serious grinds, and we’ve all been there. Let’s be sure to clear something up. I’m not suggesting that live streamed concerts replace your regular gigs. They should be worked into your overall marketing strategy to help you achieve some things that simply can’t be achieved with smaller, local shows. Hosting an online concert from your living room is a great way to build a more intimate connection with your fans. Each one will feel like you’re sitting next to them. There are several options to choose from when getting started with online concerts. You can use a service that has been built solely for this purpose, or you can DIY with social media platforms. We’ll cover both options. Concert Window was my first introduction to the world of concert streaming. They allow you to schedule your show well ahead of time, and will even list it in their online directory. It’s free to use, but Concert Window does take 30% of revenue off the top. Similar to Concert Window, Gigee allows you to create and promote your event ahead of time. It’s not specific to musicians, and includes other categories like fitness and education. Gigee is also free to use, but takes 20% of revenue off the top. As a side note, it looks like Gigee is currently undergoing some changes. Their homepage is touting a new release of Gigee 2 in the near future. If the idea of having a service skim a percentage of your revenue off the top doesn’t sit well with you, you do have other options. You can use social media platforms like Facebook Live, coupled with a virtual tip jar to host your concert. 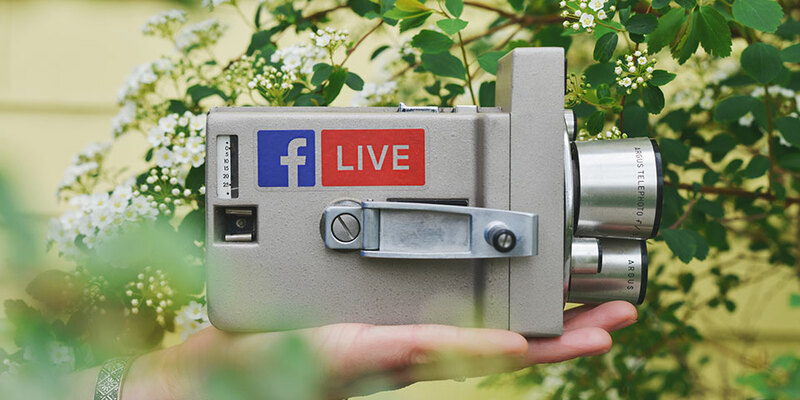 Facebook Live is gaining in popularity, and live videos have a significantly higher watch rate than those that are recorded and posted. Like the services mentioned above, Facebook Live lets people react and comment immediately as they’re watching. One downside is that there is currently no way to set a “ticket price” for people to gain admission. You can however add a link to a virtual tip jar, like PayPal to the first comment on the post so that it will be the first thing people see. Go ahead and schedule your online concert ahead of time, just like you would with any other gig. You should still add it to your website’s gig listing. You can promote your show using Facebook events and posts on other social platforms like Instagram. Go ahead and send out a calendar invite with the show details to your mailing list and promote the show by word of mouth too. You should be all set to host your first online concert. Remember to engage with your fans just like you would if they were in the room with you. Call for requests and play their favorite songs. You can even do a Q&A session after your show. Just be sure to bring good energy and have fun. Have you had success with live streaming concerts before? Let us know in the comments!